This is the *text* I want to reuse in other pages. This text is inside an Excerpt macro. BLOCK – Displays the content of the macro on a new line. 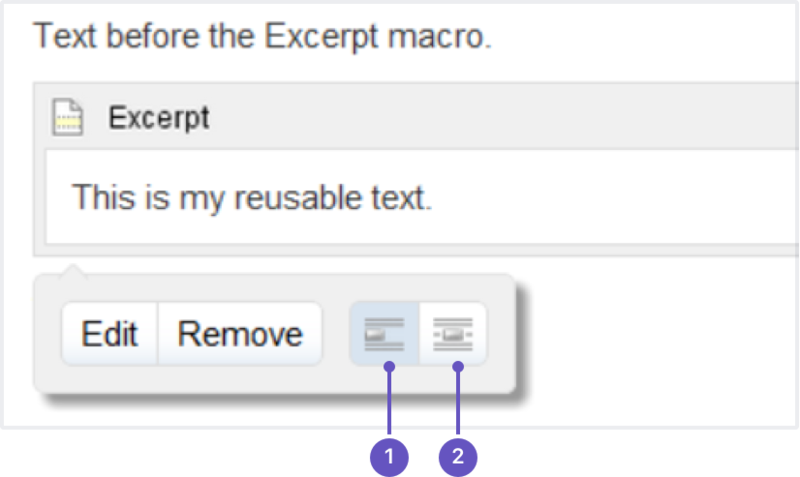 INLINE – Displays the the content of the macro as part of the same paragraph as the text preceding and following it.